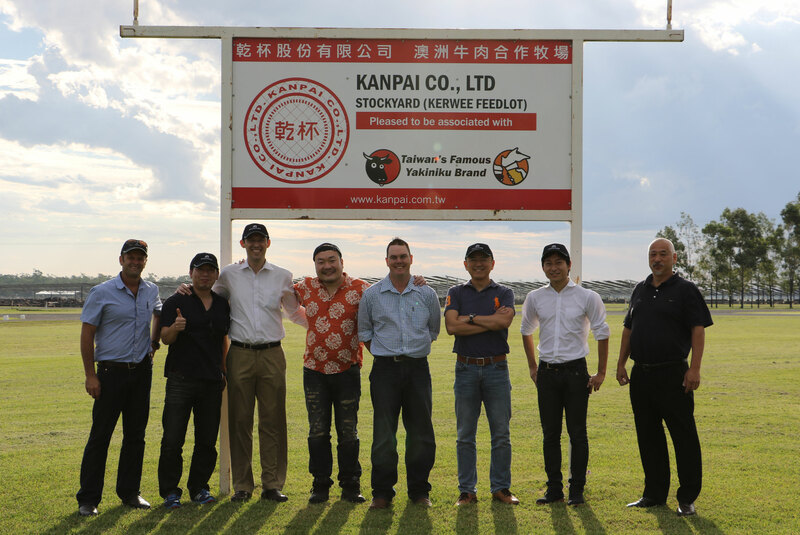 Stockyard and Kerwee recently played host to Kanpai ( a distributor of our product in Taiwan ) for their annual mission. During their time with us, they were able to observe production of Stockyard’s beef at our processing facility. In addition, they visited Kerwee feedlot for a barbecue featuring our Black Label Wagyu, and some local seafood. They also met our chairman, Robin Hart A.M, our new General Manager of Feedlot Operations Steve Martin, as well as the rest of the Kerwee staff. Kanpai’s team enjoyed their visit immensely, and were very glad of the opportunity to both observe and sample the Stockyard product. We look forward to welcoming them back fo their next visit!